r Puig explains in this video the difference between rhinoplasty and rhinolook and for whom this alternative treatment to surgery is indicated. Used for: Correct nasal dorsum and tip . Results: A more harmonious nose. What is rhinomodeling or rhinoplasty without operation? We are experts in rhinoplasty without surgery with Rhinolook. A cosmetic medicine treatment that consists of improving the appearance of the nose without surgical intervention. Thanks to filling implants based on Radiesse (Hydroxyapatite calcium) a more harmonious nose is achieved, being able to correct the nasal dorsum, and the tip. Rhinolook can also treat a previously operated nose with unsightly aftereffects. Radiesse is a very natural injectable implant, practically “invisible” to the touch, it is biocompatible, so it does not give allergy, and adapts exceptionally well to the aesthetic needs of your face. Both Hyaluronic acid and Radiesse counts are authorized for use in face augmentation, have CE mark and several FDA approvals of the United States. Rhinolook treatment or nasal remodeling does not require anesthesia. It is usually performed in two or three sessions allowing an immediate incorporation into everyday life. This technique is not applicable to all noses. There are cases where the only solution is to operate and cases in which we can opt for both options. This type of treatment is therefore not exclusive to surgical rhinoplasty, if not a complementary technique. 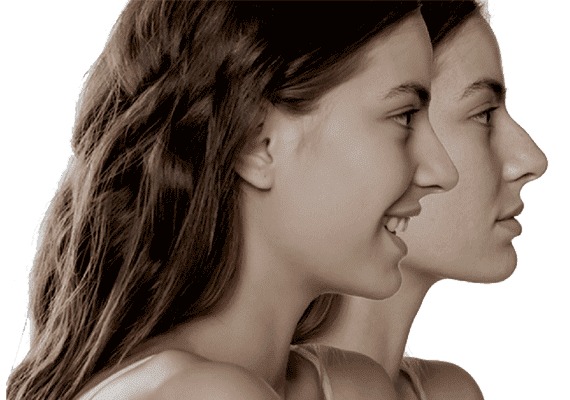 Rinolook: It is a treatment that is performed to achieve a more harmonious nose without the need to undergo a Rhinoplasty.. Application: A biocompatible implant is injected that adapts to your aesthetic needs. It is usually applied in two or three sessions. Treatment Result: A nose more according to your tastes.. Treatment: No anesthesia or hospital admission is necessary. The treatment lasts between 15 and 20 minutes, in two or three sessions. It is also possible to treat a previously operated nose with unsightly sequels. Rhinoplasty without Surgery, the price of treatment: How much does a Rinolook treatment cost? The price of a Rinomodeling treatment depends on a great variety of factors, among which are the doctor’s fees and qualifications, the amount of dermal filler to be used, the subsequent consultations, the number of sessions of the procedure, and so on. When you as a possible patient ask us about the price of a Rinolook treatment, you must bear in mind that for us, the most important thing is your health and that in any case the price depends on the personal characteristics of each patient. Contact us for questions related to rhinolook or rhinoplasty without surgery. We will answer as soon as possible. And if you prefer we will call you.